There’s no doubt that selling a home in Las Vegas represents a complex, multi-step process even in the best of markets. When you’re looking to sell in a buyer’s market, however, you have even less room for error – that buyer you alienate could be your last chance to sell for a long time to come. Still, it’s not uncommon for Las Vegas sellers with the best of intentions to make a variety of emotional selling mistakes. Fortunately, most of these errors are preventable – most, in fact, involve swallowing your pride so that you can act in your own best interests. It helps to keep your emotional distance and to view the house as a financial asset, rather than as a treasured possession. 1. Hiring an inexperienced real estate agent. 2. Asking too high a price. 3. Failing to show the house at its best. 4. Overlooking a low ball offer. 5. Getting huffy if the home inspection turns up a problem. In a booming market, homes will sell regardless of how enthusiastic your real estate agent is or how hard she works. In a slow market, however, realtor know-how may determine whether your home sells quickly or whether it languishes on the market for months or years. You need to choose someone exceptional, not someone whom you like personally. And in any market, a real estate agent with a wide online presence, access to national buyers, and influence in their local market, such as Lori Ballen’s Real Estate Team will benefit you much. In fact, Lori’s team has proven stats that show their homeowners, who list their home with her team get 103.8% of their asking price on average. Now, those are results. An experienced real estate agent as explained above – one who’s been successful selling homes in all kinds of markets including limited inventory, distressed markets, buyers markets and seller’s markets – will know what sales and marketing tactics work best in your area. In Las Vegas, and specifically in some subdivisions, somewhat frequent open houses have a good chance of landing a potential buyer, while in other locales, you’d just be wasting your time to hold an open house. In some rural areas, believe it or not, your best advertising venue may be the local weekly newspaper, but this is not the case in Las Vegas. You’ll want a Las Vegas Real Estate agent such as The Ballen group that uses a comprehensive Marketing Plan. Choose the best real estate agent you can find, and heed that person’s advice. This mistake almost goes without saying – especially in the current Nevada housing market – but it’s still quite common. Sellers frequently have a set idea of what their home is “worth,” even when the market is telling them something quite different. 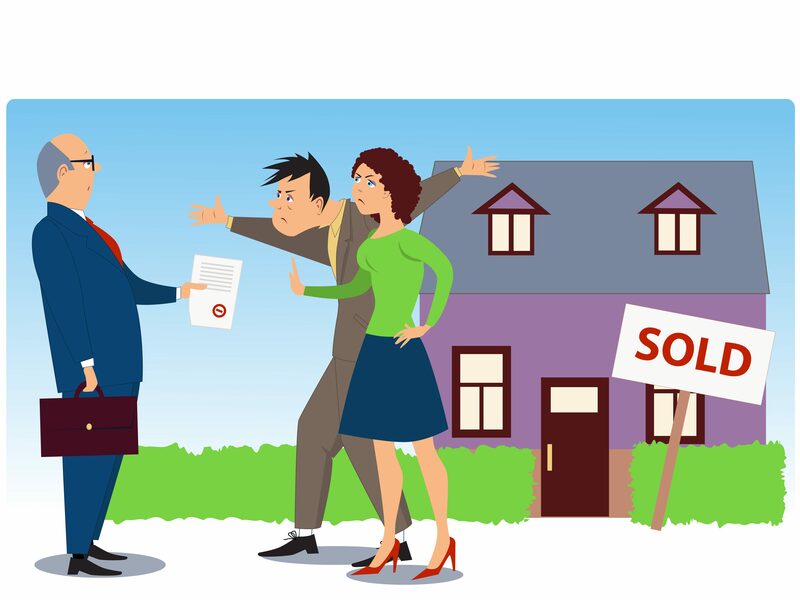 In addition, sellers these days often must net a certain amount from the sale in order to pay off their mortgages. Still, no matter how great you think your home is, it’s only worth what someone is willing to pay for it … and in most cases, that figure will be similar to the prices other sellers are getting for other homes in your neighborhood. If your home has some standout feature – a pool, perhaps, or a large addition – it may fetch a higher price, but not always. Do your research, listen to your real estate agent, and price your home accordingly. Prospective buyers can appear at any time, not just on weekends or during open houses, so you need to be ready for them at all times. That means keeping an impeccably tidy home, vacuuming several times a week, and never, ever leaving dirty dishes in the kitchen sink or an uncapped, drooling toothpaste tube on the shelf in the bathroom. Yes, it’s a pain (and disruptive to your life), but you really don’t have any choice if you want to sell your home. First impressions can make the difference between a sale and a missed opportunity … and in a buyer’s market, you may only get that one chance. Work out a cleaning schedule, and have everyone in the household stick to it. Also, if you need help (and can afford it), consider hiring a cleaning service. Many sellers will allow the emotion of selling to prevent them from following these steps. Sometimes, it appears to be self-sabotage. “It’s my house and I’m living in it so buyers will just have to deal with it”, is an attitude that will bring in fewer offers. Some sellers don’t view low ball offers as worth their time or consideration, while others even get offended at a contract for 15 to 30 percent less than the home’s asking price. This attitude can cost you a sale. Look at low ball offers as an opportunity for negotiation: someone likes your house well enough to offer to buy it, even if the price isn’t all you’d like. Take the offer seriously. That doesn’t mean you shouldn’t counter-offer – in fact, you should. You may be able to win a higher price in exchange for some other concession – a closing cost credit, for example, or even owner financing. Don’t give up on the potential sale until you’ve exhausted all possibilities with this particular buyer. Yes, you know your home is perfect – in fact, you’ve probably just spent considerable time, effort and money making it perfect to put it on the market and get it sold quickly. However, a home inspector may find problems you didn’t know you had … and that upsets some sellers. According to the American Society of Home Inspectors, the top three problems found during home inspections involve poor drainage, undersized wiring, and worn-out roof shingles. Other potential problems include inadequate or even dangerous home heating systems, poor ventilation, and overall bad maintenance. If the home inspection turns up any of these problems (or something else entirely), getting upset won’t help you change the facts. Swallow your feelings and take action to remedy the problem, or you’ll likely lose the sale. Selling a home is a business transaction, and you need to treat it as such to move the process along as quickly as possible. Your emotions, no matter how genuinely felt, usually get in the way of successful home-selling, and banishing them can help you avoid all kinds of costly mistakes. 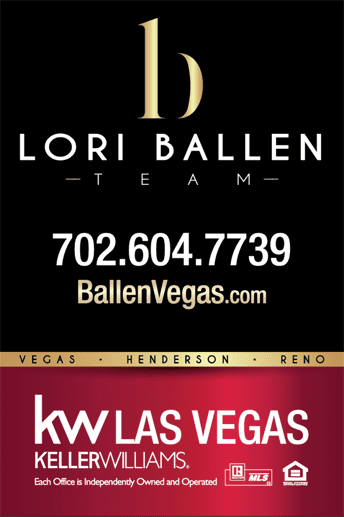 When you are ready to sell your home, Call Lori Ballen Team at Keller Williams Las Vegas 702-482-7739. Let the team take care of the process and help you get your home sold for as much as possible, and as fast as possible so you can move forward.